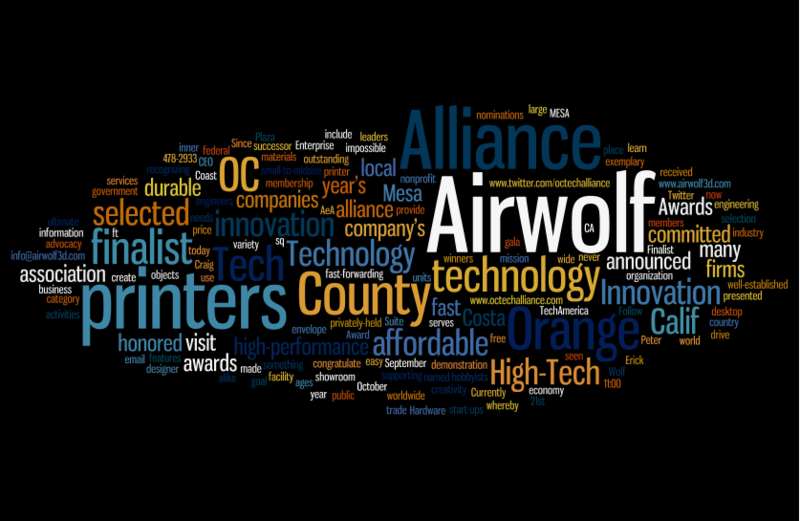 Home » Blog » Airwolf 3D Is A Finalist For The 21st Orange County Technology Alliance High-Tech Innovation Award! Airwolf 3D Is A Finalist For The 21st Orange County Technology Alliance High-Tech Innovation Award! Come celebrate innovation at the 21st Orange County Technology Alliance High-Tech Innovation Awards! 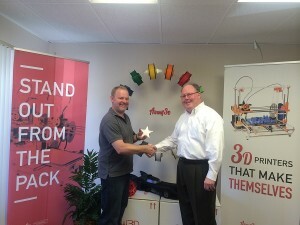 COSTA MESA, Calif.–(BUSINESS WIRE)–Airwolf 3D, a privately-held designer, manufacturer and distributor of high-performance 3D printers, today announced the company has been named a finalist for the Orange County Technology Alliance annual High-Tech Innovation Awards in the categoryEnterprise Hardware and Devices. The winners will be announced at a gala dinner on October 9, 2014, at the Westin South Coast Plaza. Airwolf 3D’s philosophy and mission is to provide the public with something it has never seen before: affordable, durable, easy-to-use 3D printers whereby users of all ages and backgrounds can create objects thought impossible until now. Airwolf 3D designs its 3D printers with incredibly fast print speeds supporting a wide variety of materials and a class-leading build envelope. The printers are ideally suited for engineers, hobbyists and students alike, allowing them to explore their inner creativity. Orange County Technology Alliance is a 501(c) 6 nonprofit trade association committed to fast-forwarding the local innovation economy. It is the successor organization to the Orange County Council of TechAmerica and AeA. It is the only technology association addressing the needs of small-to-midsize technology companies and their leaders based in Orange County, Calif. The alliance serves members through local networking, professional development, state and federal advocacy, savings on business services and industry recognition. To learn more about membership, contact OC Tech Alliance at info@octechalliance.com or www.octechalliance.com. Follow alliance activities on Twitter at www.twitter.com/octechalliance. Airwolf 3D is committed to manufacturing high-performance 3D printers that are fast, affordable, durable and easy to use. All 3D printers are made in America, manufactured in the company’s 12,000 sq. ft. facility in Costa Mesa, Calif. 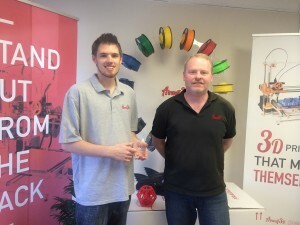 Currently, Airwolf 3D printers can be found in engineering firms, government agencies and schools worldwide. For more information visit www.airwolf3d.com, telephone (949) 478-2933, email info@airwolf3d.com, or visit the company’s showroom at 130 McCormick, Suite 105, Costa Mesa, CA 92636 for a free demonstration. This entry was posted in Blog, Press Releases. Bookmark the permalink. 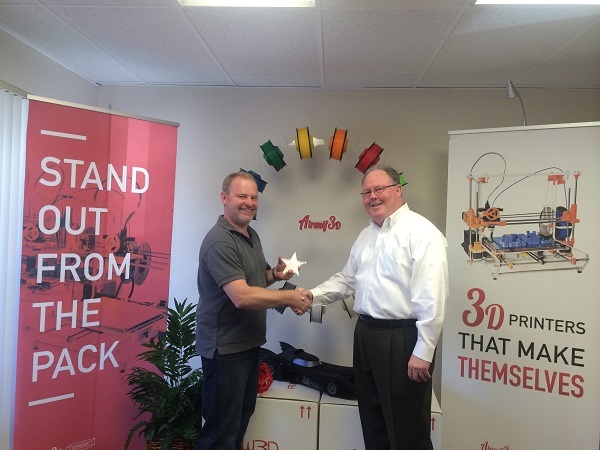 Airwolf‘s Multi Material 3D Printer Visits Seattle!